With a deep, rich flavor, and soft, slightly moist texture, this dark brown sugar is ideal for a variety of flavorful recipes! Made of refined, granulated sugar, the distinctive brown color of this sugar is due to the presence of molasses. 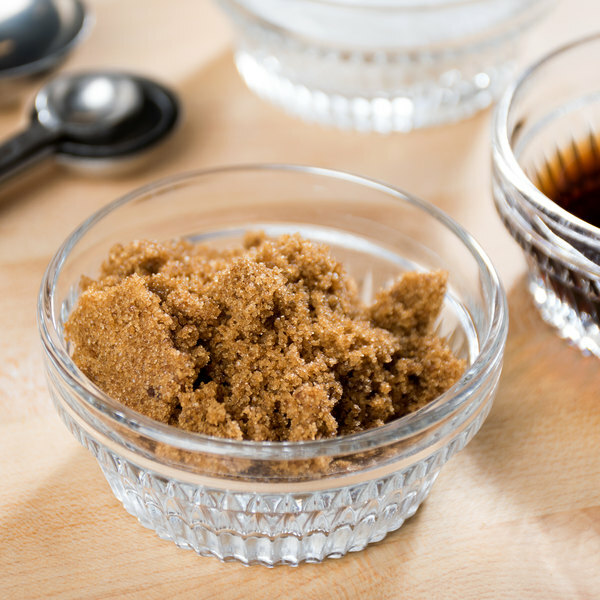 Dark brown sugar has, on average, about twice as much molasses as light brown sugar, resulting in a stronger flavor. It's great for use in baked items, and it's also a sweet addition to baked beans or sweet potatoes. Use it for syrups, glazes, or sauces, or play up its crumbly nature by using it as a topping for oatmeal, yogurt, fruit, and cobblers. Make any dish a little sweeter with this dark brown sugar. Create brown sugar cookies or cupcakes with your favorite mix-ins, toppings, and other ingredients. It can also be used to bake brownies and coffee cakes, or added to syrups, marinades, and barbeque sauces. From cooking to baking, to sprinkling atop pancakes or waffles, this brown sugar is sure to be a staple ingredient in your diner, cafe, or bakery! Hands down my favorite dark brown sugar!! The smell and color are great. The molasses hints you get are just right. Unlike other brown sugars that don't have that "brown sugar" smell this one does. Its a little wet so if using for a rub i would let it dry out just a bit at air temp or it may clump up. But for the price and quality you can not beat this! Great sugar for all our baking needs! Small bag is convenient to use and store. Multiple bags in the case means you always have a backup! Will buy again. For the price compared to the store is cheaper. And I usually have to buy light instead in store which this dark so it's better for what I want actually. we decided to try and switch to this brand and were very happy with it.we use to make a number of cookies we make every week. Great sugar at a great price! Perfect for baking and a great pantry staple for the home cook. You'll probably want to move the sugar to something airtight to store so that it doesn't clump. But in general this sugar stayed soft even when I wasn't so careful about storing. I like it SO much better than those dominoes boxes I used to buy. I’m very satisfied with my purchase. It arrived soft, I have used it on baked yams, recipes and I love it on my oatmeal. Definitely recommended and definitely will be reordered! This dark brown sugar is a great addition to a wonderful rice and bacon bits southern breakfast meal. I have used a variety of brown sugars, and find this one to be right in line with the rest I've purchased from grocery stores for twice the price. I recommend this one for sure! 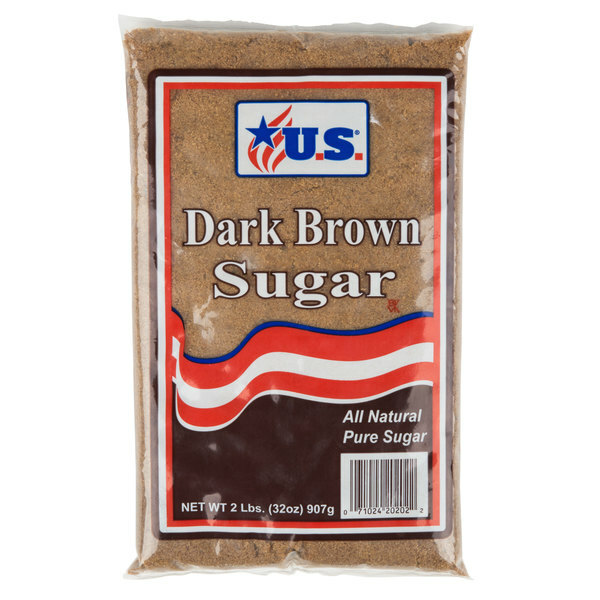 This dark brown sugar is a great product at a reasonable price. It was delivered quickly and it was fresh and not dried out. We will order again. Love this product! NON GMO and has a really nice dark brown sugar flavor that allows one to notice but not find overwhelming the molasses side note to it. yummy! This dark brown sugar tastes delicious on oatmeal. The flavor is very rich, so a little of it goes a long way. This 2lb bag should last quite some time. This is a great type of Dark Brown Sugar. I've used a lot of various brands of dark brown sugar over the years and this is one of the best ones I've ever used. Very good product. We use this dark sugar in the oatmeal that we sell at our coffee shop. Customers love it so I recommend it. At some point, the bag developed a tiny hole, which led to rock hard sugar when it was time to use. I’m not sure if it showed up this way, or if I stored it less than carefully. There are lots of different methods to soften brown sugar on the internet, so it wasn’t the end of the world, and it tasted perfectly fine. But learn from my mistake and thoroughly check your bag for tears right when it arrives. Excellent quality product for a small fraction of the price of the usual national brands. Fresh, and soft on delivery too. All around great product. This Dark Brown Sugar became hard for us. We have ordered other brands in 25lb. quantity and not had the same issue. Unfortunately we had to throw at least 5 bags in the trash. Will not order again.